Saffron is the most expensive spice on the market today. Is it overrated or is it worth the price? To appreciate why saffron is so expensive it helps to know where it comes from and how it’s harvested. Saffron is the yellow-orange stigma of a small purple crocus plant. Each plant produces three stigma and those colorful threads have to be carefully hand-picked and dried. You need a quarter of a million threads to make a pound. The last time I bought saffron was for the restaurant. I was getting a good price from one of the food purveyors in town and getting a very top grade of saffron. I paid about 50 dollars for one ounce which should last most of my life. If you've ever cooked with saffron you may have mixed feelings about it. It's very difficult to measure quantities and all too often we use too much and get mixed results. 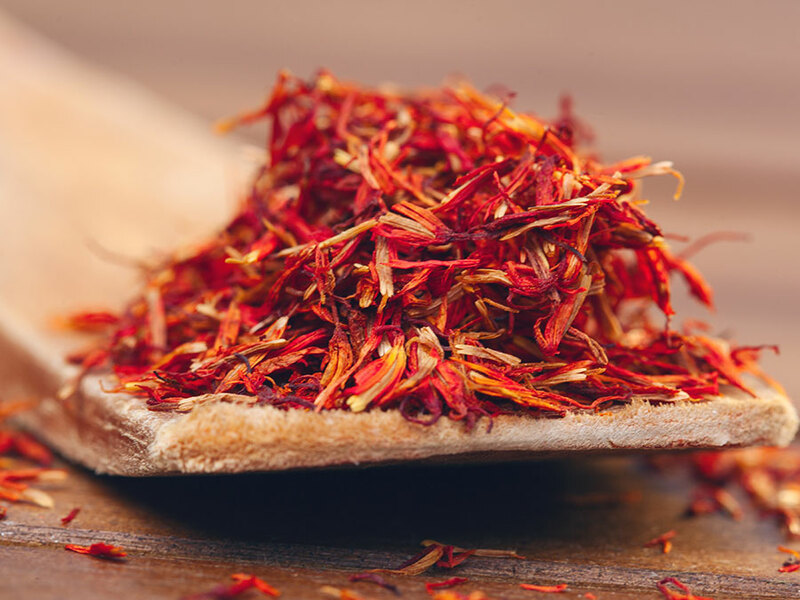 Saffron has a somewhat medicinal, woody taste, quite unique and different from any other spice. But cooks aren’t using saffron only for its taste but for its color as well. It creates a striking, deep yellow that we don't see too often in our foods. Many cooks use turmeric to substitute the color of saffron. It's also yellow and more affordable than saffron but lacks the brightness. If you don't see saffron on the shelf at the market it may be kept under lock and key or you may have to go to a specialty gourmet shop. If you'd like to get acquainted with saffron, its taste and its strength, start by adding just a few threads to what you’re cooking. Rice and mashed potatoes are a good starting place as well as some soups and sauces. Add a few strands to the cooking liquid of rice or potatoes. Use very little at first and gradually increase the amount as you get familiar with it. Once you have worked with it a bit you will be better able to gauge amounts and strength and then you can decide if saffron is worth its price.